We’ve seen the evidence on the Classification Board, but Sega has finally confirmed that their 3D Classics range will be heading to the eShop in Australia, Europe and North America before the end of 2013. These games will set you back $US5.99/€4.99/£4.49 a piece. Australian prices have not been confirmed but sources expect them to be around $AU8. Bare Knuckle, or Streets of Rage as it is known here in the West, is set for a 3D Classics release on the Nintendo 3DS eShop in Japan. 3D Streets of Rage (3D Bare Knuckle) will include local co-op, 3D graphics and a newly added One Hit Deathblow Mode, were enemies are killed in a single hit. The game comes out on August 21 and will cost players 600 yen. There is no word on a western release yet, but we suppose it is only as matter of time. Streets of Rage 2 is one of the finest beat ’em ups of all time, combining impressive graphics, an amazing soundtrack and some bone crunching action into a single package. 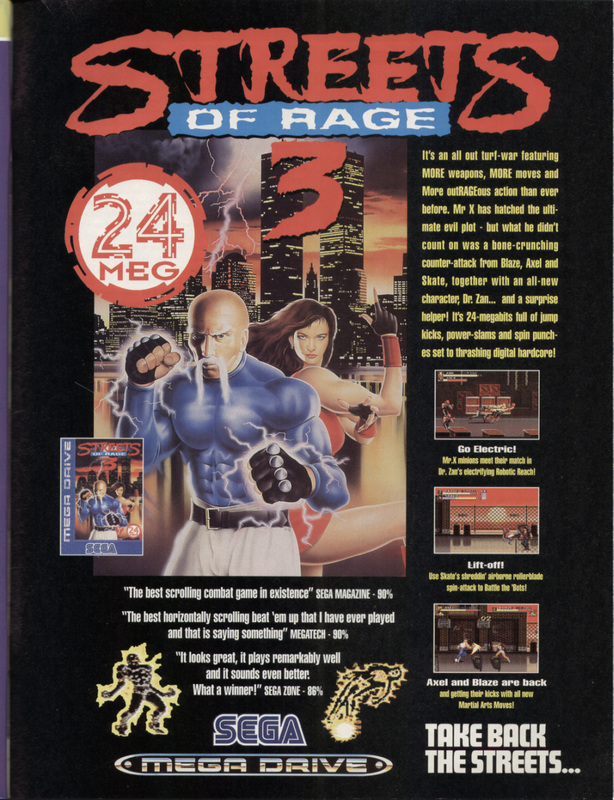 You’ll find few Sega fans who don’t list Streets of Rage 2 as one of the finest games the company has ever published. Ruffian Games, developers of Crackdown 2 for the Xbox 360, made the above prototype video as a pitch for a potential downloadable Streets of Rage sequel. The video is obviously very rough (“pre pre pre Alpha according to the studio), but shows a bit of promise. 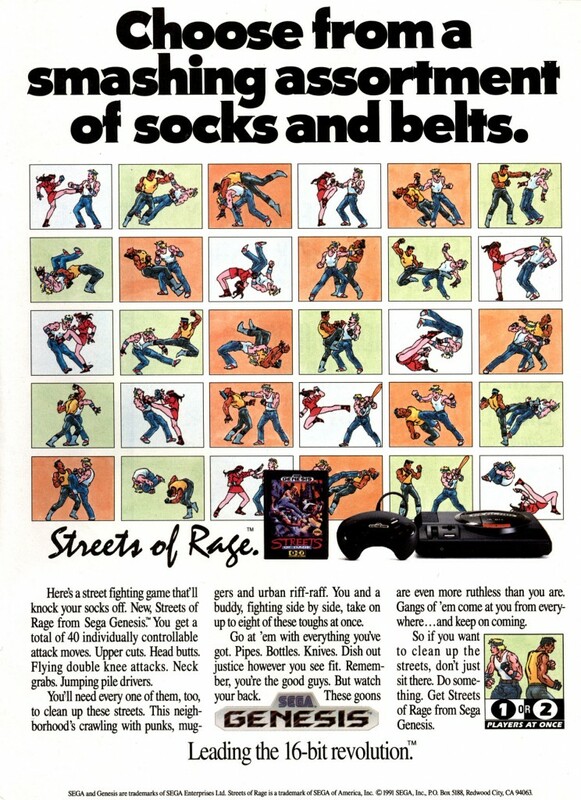 Perhaps one day Sega will get off the pot and do something new with Streets of Rage. This week’s episode of Retro Gaming Theatre features one of my all-time favourite beat ’em ups – Streets of Rage. Though thoroughly superceded in just about every way by Streets of Rage II, the original game still boasts an excellent soundtrack and can be quite challenging in spots. We played through to about the end of the second level in this video, but definitely could have gone further. Sega are pulling out all of the stops with digital distribution this month. Hot off the heels of Sonic the Hedgehog 4: Episode 2 comes the third round of Sega Vintage Collection games for PlayStation Network and Xbox Live Arcade. 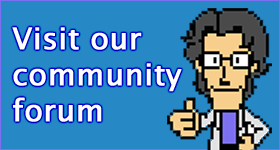 Twelve games will be released as part of this run – Alex Kidd in Miracle World, Super Hang-On, Revenge of Shinobi, Wonder Boy in Monster Land, Wonder Boy in Monster World, Monster World IV, Streets of Rage, Streets of Rage II, Streets of Rage 3, Golden Axe, Golden Axe II and Golden Axe III. The games are packaged differently based on which service you decide to use. On PlayStation Network, Alex Kidd in Miracle World, Super Hang-On, Revenge of Shinobi, Wonder Boy in Monster Land, Wonder Boy in Monster World and Monster World IV will be available May 22nd for $US4.99 each. Meanwhile, on Xbox Live Arcade, the games will be available in packs of three – Monster World Collection (Wonder Boy in Monster Land, Wonder Boy in Monster World and Monster World IV) and Alex Kidd & Co. Collection (Alex Kidd in Miracle World, Super Hang-On and Revenge of Shinobi) on May 23, while Streets of Rage Collection and Golden Axe Collection will arrive on May 30. 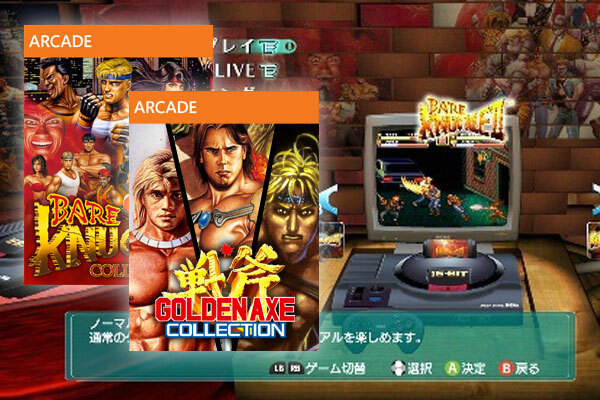 All Xbox Live Arcade collections will be 800 points. 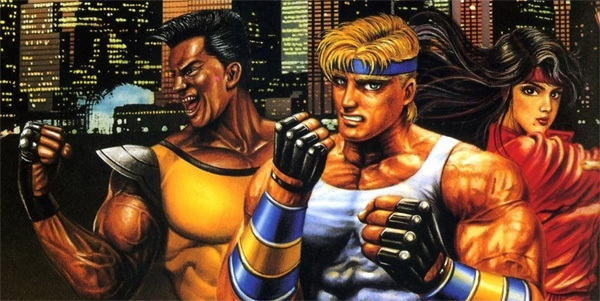 Streets of Rage 3 is the third and final game (so far) in Sega’s smashing beat ’em up series. Despite packing the same stellar gameplay as the second game, it doesn’t really do anything that improves on it – in fact, some aspects of the game are much worse. It doesn’t help that most of the game’s story was destroyed during localisation, not to mention the other content cuts and censoring that occured. Worth playing for the soundtrack alone. Streets of Rage was one of Sega’s early success stories on the Mega Drive. 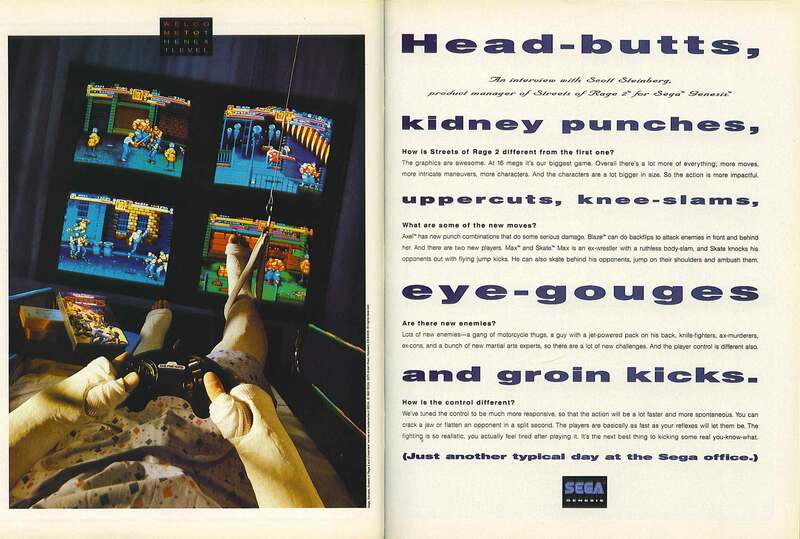 Heavily influenced by arcade beat ’em ups like Double Dragon and Final Fight, Sega put its own spin by giving players more moves and access to a screen wiping Police backup attack. However, the reason why people consider the first game memorable (as the second game blew it out of the water) is the soundtrack – Yuzo Koshiro is a master of the Mega Drive’s sound chip. 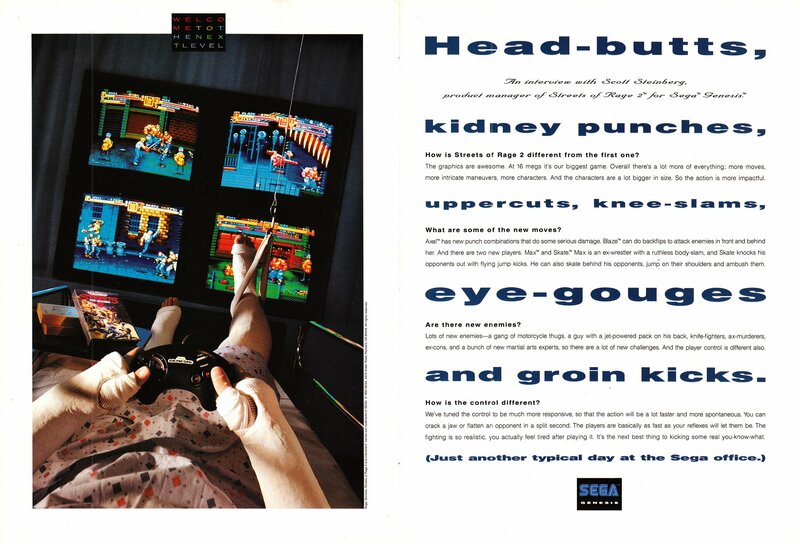 This ad is from the US release.